Travelling to Raphoe recently to see my mother brought back memories of playing on Drumoghill's old pitch at The Moss. Back in the day it was a really difficult pitch to negotiate because it had a large hill in the middle of it - so no matter what way you played you were playing uphill. It forced players to work harder and it wasn’t unusual for teams to question why anyone would play there. Baffling to say the least but it was worth all the effort when you put a smile on Seamus Neely's face! I met Seamus recently, former manager of Drumoghill Celtic a well known team in the 70’s, 80’s and 90’s and even today (although these days the club is called Drumoghill FC). He came to see me with his friend Kieran O'Donnell who also played with Drumoghill Celtic in the 70’s. I asked Seamus some questions about Donegal soccer and his time in charge of the team. Were the pitches as good then as they are now? Who owns the pitch ? Gregory Kearney it was, a young Strabane lad who sadly passed away some years ago. A loss to soccer but especially his family. What other players have impressed you? Patsy and Johnny Curran from Castlefinn. Martin Margey from Letterkenny, now sadly departed he died a young man. Peter Mc Nally I think he was superb player always looking to command his space. A lovely lad I must say. Our 1st match was against Glen Rovers and Andy Quigley played, a fine footballer. A player we both admired was David Mehaffey, who sadly passed away some years ago . Never married but dedicated his life to Donegal league and should have played at LOI or higher level. A Raphoe man Michael Duffy, a butcher by trade who could have gone on to higher places but his business took over, money was king but I always regretted him not sticking at it. Who was the best team at that time ? Definitely Lifford Celtic, their team was full of top class players The biggest match was always against top dogs Fanad Utd --- great games . I think Finn Harps are a benefit to Donegal soccer. 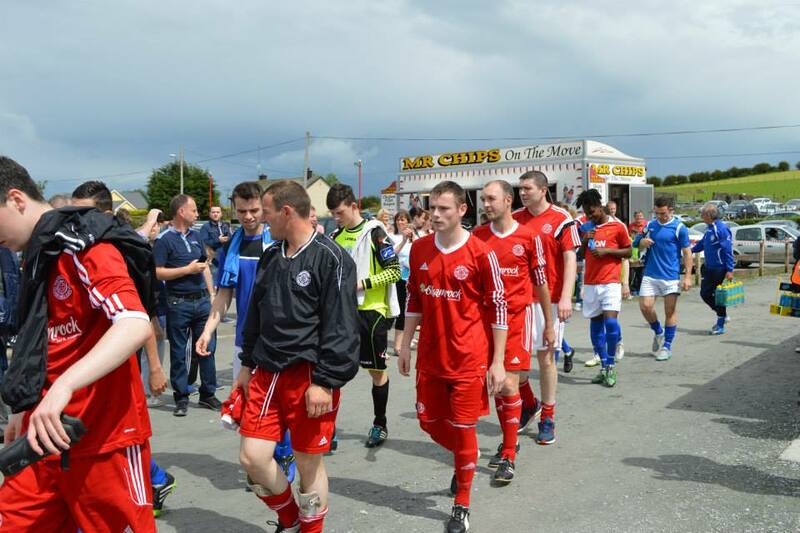 If the Donegal league should play every two weeks so that players should be able to attend Harps games . The big game was always against local rivals Newton. I suppose it was the nearest we had to playing international football!